Between office parties, tacky sweater parties, Secret Santa’s and any other excuse for a party, December can be downright tiring. Combine the parties with holiday shopping, family visits and cooking and most people are left in need of a boost. That’s not even taking into consideration getting ready for the party, or hosting a party at your own house! For those who take a long time to get ready (cough, cough ladies), it can be an arduous task and a little caffeine boost may be just the thing. Preparing for an event is another tiring and stressful experience, but can be made a little easier with increased energy. And that’s where a natural energy supplement like GreenCoffex® comes into play. Parties are a double-edged sword. If you get ready too quickly or expend too much energy at the beginning, your night will be over early. If you are too conservative or take too long getting ready, you will arrive late and everyone will leave earlier than you. That’s where a constant, sustained level of energy helps you to be at your very best – at every party. 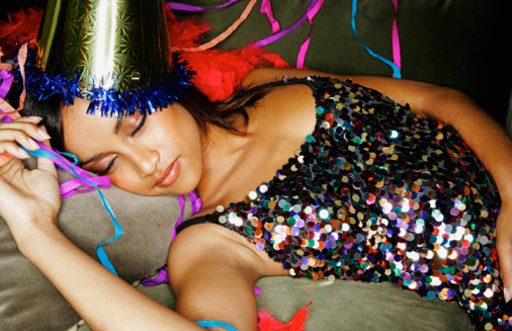 The 8 hours of sustained natural energy GreenCoffex® provides makes it ideal for partygoers. It’s better than coffee, energy drinks and other caffeine pills because you won’t get the jitters or crash after a few hours. Friends will wonder just how you do it, and whether you tell them the secret is completely up to you! Along with the best energy pills out there, it’s also wise to observe a few other tips that will keep you going strong at the holiday party. First off, it’s important to stay hydrated. As a general rule, try to have a glass of water every hour or with every alcoholic drink. Dehydration, among other things, will make you feel very sluggish. Make sure not to overeat, either. This will not only make you tired, but you will also regret it come January. Lastly, make an effort to get enough sleep. Not only will lack of sleep leave you feeling tired, you will most likely look that way, too! So give GreenCoffex® a try this holiday party season. You never know, your friends might start asking why you’re so happy, look so good or notice that you’re the life of the party!